The 2018 Chevy Equinox offers performance ratings as high as 252 hp, towing ratings as high as 3,500 pounds, and efficiency ratings as high as 39 mpg combined. That makes this one of the most versatile and capable compact crossovers on the road right now. Find out more about this vehicle’s capabilities Nimnicht Chevrolet in Jacksonville, were you are welcome to test drive our Equinox inventory anytime. This engine offers a great balance of power and efficiency around Orange Park. Power is rated at 170 hp and 203 hp while highway fuel economy reaches as high as 32 mpg city. This engine is paired with the 1.5L and 1.6L engines and offers drivers a smooth and sustained source of power. 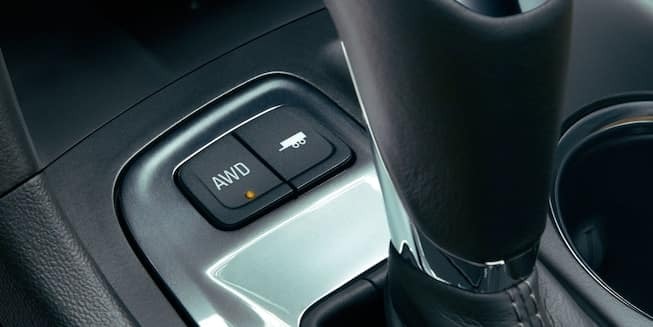 A 9-speed automatic transmission is available with the 2.0L engine. If you commute in St. Augustine, this powertrain option is ideal. It puts out 137 hp yet feels sporty thanks to the 240 lb-ft of torque. Better yet, it gets up to 39 mpg combined. This advanced electronic stability control system monitors when the vehicle's path varies from the driver's intended path, then adjusts the brakes and engine torque to help drivers maintain control when driving in hazardous conditions. The Equinox is available with both front-wheel drive or all-wheel drive for drivers who want enhanced performance and safety. The standard four-link rear suspension helps to filter out the roughness of the road and deliver a smooth drive over every mile, and the standard MacPherson strut front suspension keeps the driver in complete control of the driving experience. These features make the Equinox quite a match for the Toyota RAV4. Thanks to new vehicle specials available exclusively from Nimnicht Chevy, the Equinox trim lineup is accessible to more area drivers. And thanks to the Chevrolet Connection Center available exclusively at our dealership, area drivers can make the most of their new crossover. Apply for financing or contact us for information at your own convenience.